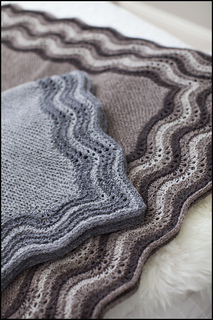 A tweedy baby blanket inspired by traditional Hap Shawls of Shetland. Center square is worked back and forth in garter stitch. 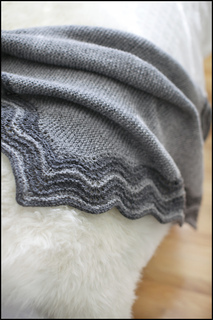 Lace edging is picked up and worked in the round with two or more colors. Instructions for Lace Edging are charted. 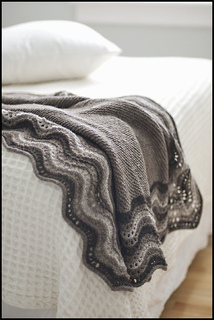 This pattern was updated on March 1st, 2011 to include an additional larger size with a 3-color edging (shown in Browns). 4.25 sts and 4.25 ridges to 1 inch in Garter Stitch, unblocked, with smaller needle.